This is the time of year when many of you might be considering hiring language teachers for yourself or your children. It makes a lot of sense to cut out the middleman (a language school) and hire a freelance or a self-employed teacher directly. But if you decide to do that, you might find yourself browsing through tens of profiles a day and still unable to make a choice. In this post, I want to outline several aspects you might want to pay attention to when looking for a freelance language teacher. Degree A degree in teaching is not a 100% guarantee of good quality teaching, but it definitely helps. People who get a degree in language teaching do not only study the language in-depth, they also study teaching principles and methods. It is, of course, possible but less likely that a person with a degree in engineering will make a great language teacher. They might be a proficient or a native language speaker, but they simply might not know how to help you learn the language. Fulbright FLTA memories. Part 2. Translating Dovlatov back into Russian with my American students. What I want to share in this post was probably my favorite part of my teaching Russian as a foreign language experience, which was teaching language with the help of literature (or is it literature with the help of language?). In the second semester, the Russian teacher at UNH, Daria Kirjanov, taught a course called, “Stories of Displaced Lives: Russian and Eastern European Memoirs of Exile.” As part of this course, the students of Russian were supposed to attend a language lab class, the purpose of which was reading some of the course materials in the original. I got my own language lab class with three beginner level students. The beauty part was I didn’t have a rigid program to follow and had the freedom to create my own materials (a million thanks to Daria for that!). I have inexplicably taken a special liking to verbs recently. What’s inexplicable is why recently. Verbs are a powerful part of speech and deserve special attention. In this post, I want to show how I bring powerful verbs to my students’ attention with the help of TED talks. Verbs are one of the reasons why English is so easy to start speaking. I am talking about basic verbs, like do / get / have / make. You can often substitute any verb with one of these and construct a correct, meaningful sentence. However, as you move along in mastering the language, these verbs turn into an obstacle. Because you can express almost anything using the basic ones, your brain resists using any others. These are, after all, correct. As a result, you get trapped - you want to progress to the next level, but your language lacks any verbal variety whatsoever and sounds disappointingly simple. But enough chit-chat. Let’s see some powerful verbs in action. I used to be very old-school. I used to own phones that could only make calls and send messages. I used to think that smartphones were just toys. That was until January 2017, when I got a new phone - a smartphone, which has completely transformed the way I work. Please give it up for my current phone - BlackBerry PRIV! Remember last week I wrote a post about how I tried walking in my student’s shoes and wrote an essay I gave him for homework? Well, the student did his homework (which I didn’t have a shadow of a doubt he would). In this post, I want to share it with you. First, let me introduce the student. His name is Nikita Videnkov, he is a 21-year old engineering student, who has been having one-to-one classes with me for about 3-4 years. 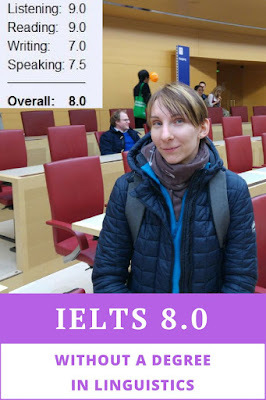 His primary purpose is to improve his language skills, but he is also thinking of taking IELTS, so we do IELTS format tasks on a regular basis. Second, to those of you who aren’t my students I have to explain that my homework worded “write an essay” is usually followed by homework worded “rewrite your essay.” I believe that writing is 90% rewriting and make my students rewrite their work. I have a question to all the teachers out there: how often do you write essays in English? I mean essays in IELTS / TOEFL / GRE or any similar format. Please message me, I’d love some kind of statistics. I have to confess, I don’t*. But I make my students write a lot. Which might be a little unfair, don’t you think? That’s what I thought when I was on a bus from my home town back to St Petersburg yesterday (a 4-hour journey). I had nothing to do, so my mind began to wander until suddenly it stumbled upon the essay topic I gave my student on Thursday. 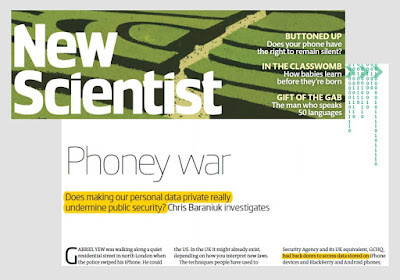 We were discussing the article called “Phoney War” (New Scientist, 25 January 2017). The article deals with the questions of end-to-end encryption and its importance in the ‘privacy of communications vs. public security’ debate. As a follow-up task, I came up with an essay topic for my student (a very diligent, Advanced level student who is going to take IELTS in the future). With language, it’s use it or lose it. Language skills, speaking in particular, go rusty in a flash. Teachers are not an exception here; let’s face it, teachers’ speaking skills deteriorate too (for a variety reasons that I won’t go into now). Sitting around and complaining is a tempting, but counterproductive approach to solving this problem. In this post, I am going to talk about the solution my colleague and I came up with to stop our speaking skills from going rusty. … It all started on a gloomy, hopeless, rainy November afternoon from Dasha’s message. The message went like this, “How about starting our very own speaking club? We could meet once a week (Skype, of course) and just talk about stuff. What do you say?” I jumped in excitement and immediately replied, “I’m in!” We discussed the possible time and scheduled a session for Sunday 10 am. Writing and Speaking. Resources. 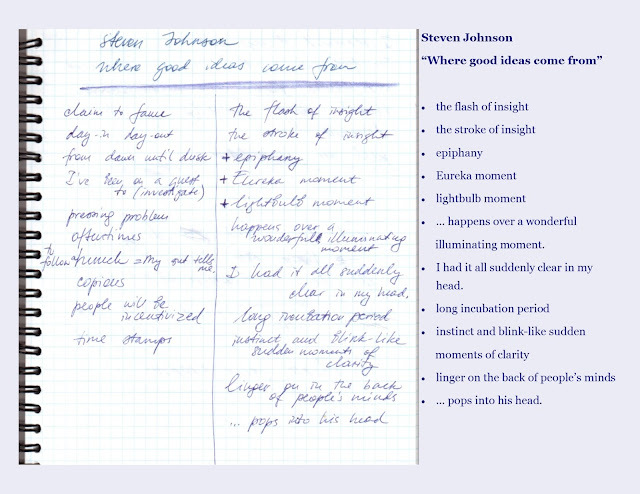 This is the second part of the guest post by my student Nadya Borisova. Now let’s talk about the active parts: Writing and Speaking. Writing Here comes the tough one. Last time I got 7.0 for Writing. I used Irina’s help, and I can’t stress it enough, you need a look from another person to tell you what you do right and wrong. Background. Preparation time. Listening and Reading. This is a guest post from my student Nadya Borisova. Enjoy! My background Two years ago I worked as an IT recruiter, now I’m a copywriter. I don’t have a university degree in languages, nor did I go to the school focused on English language. I went to an ordinary school with two hours of English a week. Most of the learning after that, I did on my own.